Simply fill out this form below and click the submit button. We will get your message and get right back with you. Please put your phone number in the message and we will call you as soon as we can! We value your business! Track and follow your service calls online and in real time and only a mouse click, email, text message, phone call away. Simple, Convenient, and Accessible Anywhere and Everywhere! Here’s a short introduction video on our new web app dashboard, it's....Awesome!, Functional!, Productive! . Check out what's new and see for yourself. 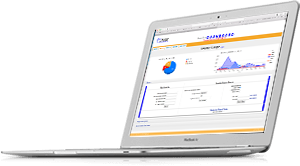 Check out the customer database demo video! Watch what can be done when you log in to our secure customized database. You can see your service calls and track progress online, and it’s all in real time, as it happens! Set up customizable fields that are specific to your data requirements. All of your data is secure and safe with a personal login and password for employees you decide to give access to. All of your secure data kept on our servers is downloadable into Excel spreadsheets so you can sort and store data to your liking. Allow your end customers to see what data you want them to see. Send out automatic email notifications throughout the entire service process. Keep your end customers informed! Check out all the services we offer to satisfy your needs. The service and reporting we offer to all our customers has been given top awards and recognition by our industry leaders. Check out what our customers say about us. We value our Customers and Partnerships! Direct database online reports 24/7/365. Get immediate data from ongoing service calls right at your fingertips, anytime, anywhere! With JNWapp our techs have smartphone and tablet access to better serve our customer needs! COMING SOON - A new app for our customers to keep up with current service calls. Stay Tuned! JNWapp is fully responsive and will function from any mobile or tablet device. Click here to get JNWapp! Download our app right from the Apple Store! Coming soon for Android phones and tablets! Click here to get JNWapp! Services to fit your needs! We offer standardized services, or we can customize your service needs and respond when you say! Our fastest service offering with immediate response from our customer service reps within the hour and onsite response within 4 hours! Our standard service is way above the industry standard! Customer service response is within 4 hours and onsite response within 48 hours! Call us toll free at 1-888-632-0092, or contact us through our website, we'll discuss the details and provide a quote. Customers say the nicest things! 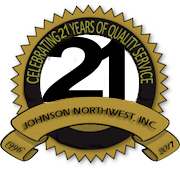 Johnson-Northwest provides fast and reliable service anywhere and everywhere! Amazing response time better than expected! JNW is a company you can count on with excellent customer service and quick response time! Making service a level above! All rights reserved. Website created by JNW Global and updated on May 4 2018. Copyright 1998-2018.Johnson Northwest, Inc. All Rights Reserved.